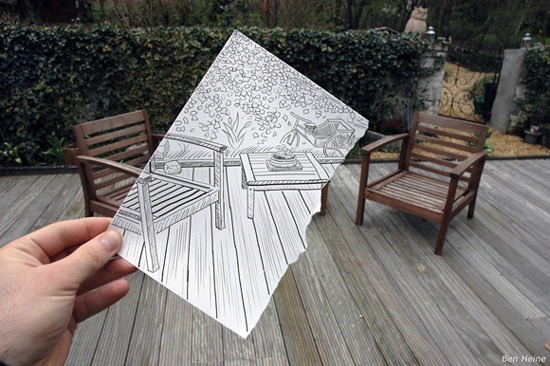 Most of us take pictures from real world thru digital camera but there are some creative minds who doesn’t stop on that only. 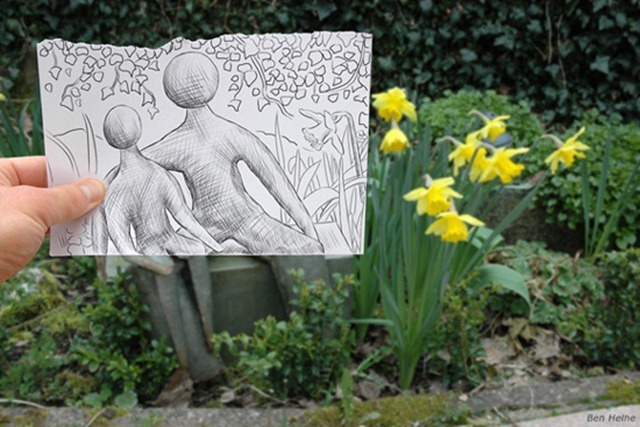 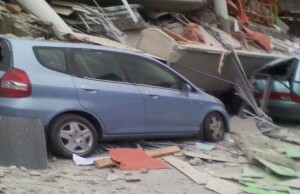 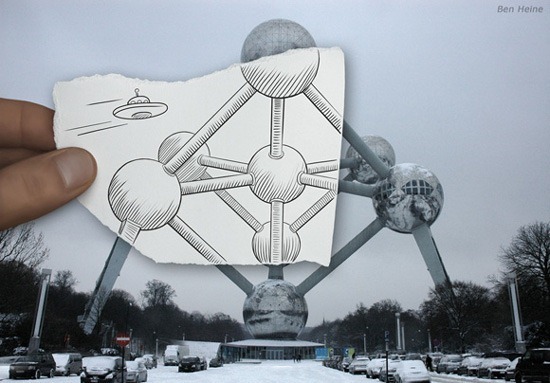 They go to the next level and add their creation in real world pictures. 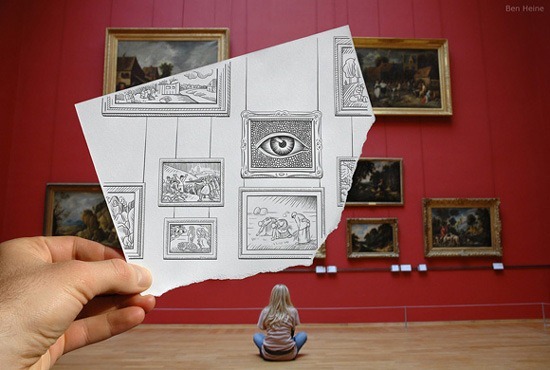 Following those creative minds, an artist Ben Heine embedded his art work created on a canvas with pencil in hand on some real world pictures. 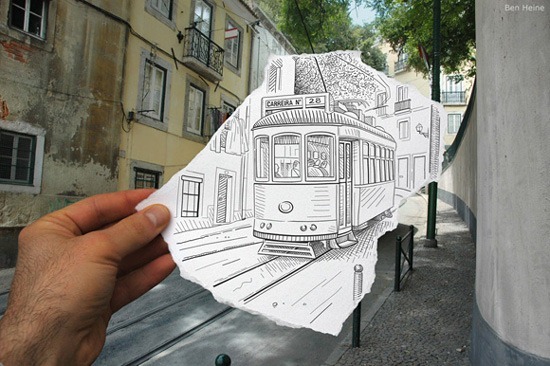 In these pictures, you can see a real street but a running train drawn with pencil on it. 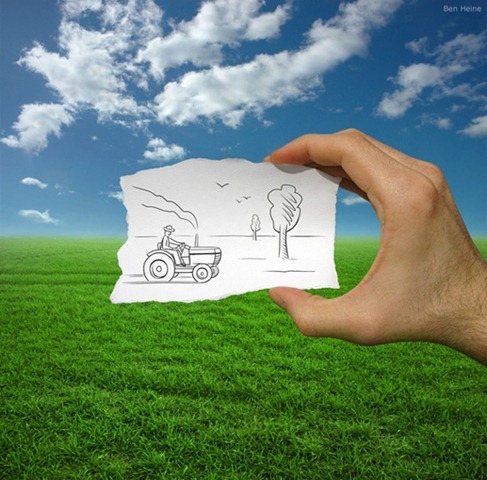 A pencil drawn tractor in the real field and much more.